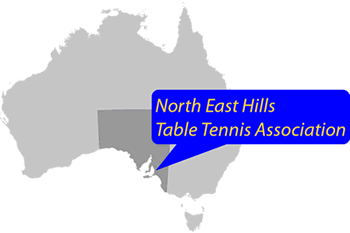 Welcome to the North East Hills Table Tennis Association (NEHTTA) website. The NEHTTA is comprised of affiliated clubs from the north and northeastern suburbs of Adelaide. We provide table tennis activities at both a social level and organised competition. Senior competitions are conducted over winter (May to September) and summer (October to March). They are team-based and played on a home and away format. The 2018 census revealed table tennis participation hit 100,000 for the first time (103,465) with more than 10,500+ members also reported by States & Territories.